The Kevi stool has a rounded wooden seat made of 9 mm compression molded plywood. The five-legged base comes with glides or castors, with or without brakes. The stool has an automatic height adjustment. The base is satin polished aluminum and the seat is available in beech wood or painted in white or black. 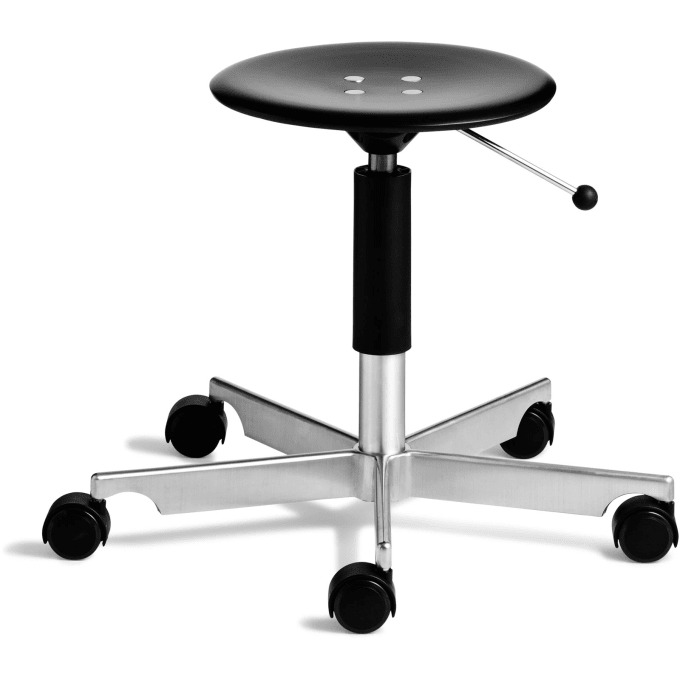 The stool models in 3 exceeding heights comes with a satin polished aluminum foot ring. Do you have a question about "Kevi Hocker"? How can we contact you?